By Gerard Way’s (The lead vocalist and co-founder of the band My Chemical Romance) Umbrella Academy graphic novel. So, I chose to draw “Spaceboy” the leader of the Academy. 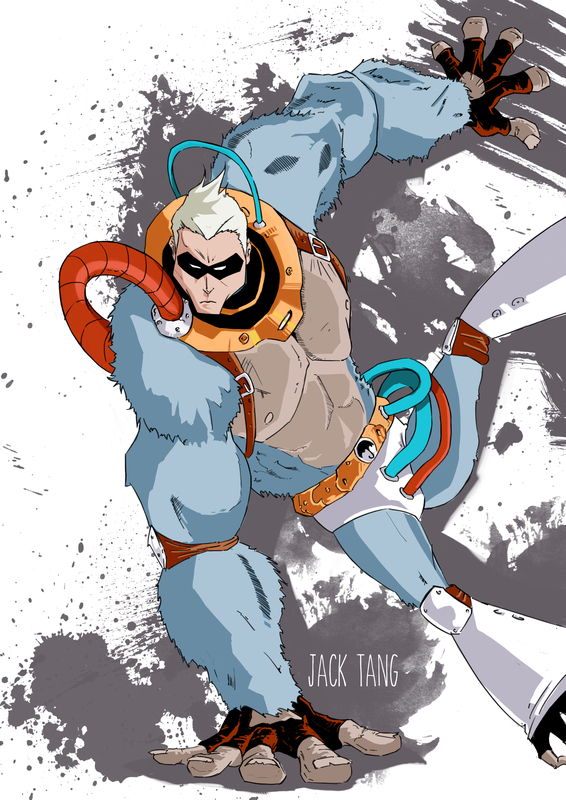 I really love Spaceboy’s looks and the idea behind creating this character, a guy transplanted into the body of a gorilla. crazy or what? Serenity is golden... But sometimes a few ripples are needed as proof of life. Reviews for Young Adults or just Adults.